From these historical roots within a smaller city set among rural landscapes and close to metropolitan areas, the MLA program offers diverse opportunities for study, research, creative design, and professional practice. The combination of undergraduate and graduate programs yields a substantial body of engaged students and organizations and provides teaching assistant opportunities for MLA students. Our legacy includes an alumni network that is engaged and involved in our programs and employs our graduates in global design. Our faculty have diverse experiences and perspectives for a broad spectrum of learning. We offer immersive, project-centered learning formats that include peer-to-peer sharing, field study, in-depth topical discussions, seminars, lectures, and landscape design studios. 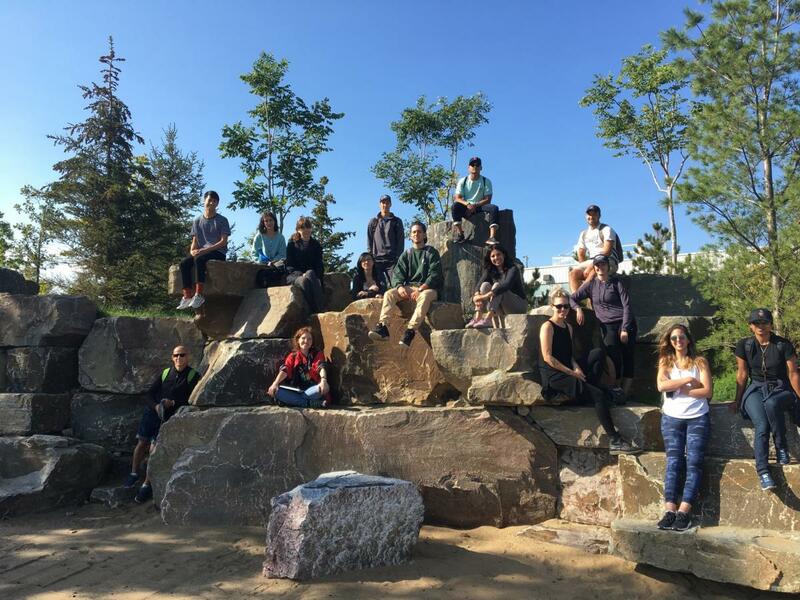 An undergraduate landscape architecture degree is not required to apply for the MLA degree program. The MLA program is structured for students to acquire and master a professional level of design competency. The curriculum has three integrated streams: design theory and practice, landscape analysis and planning, and research inquiry and application. The MLA program leads to a professional degree that meets the educational requirements for entry into professional associations across Canada, North America and abroad. In the first two years of the MLA program, learning is centered around design studios that apply theoretical knowledge to practical projects ranging in scale from individual sites to entire communities and regions. Field studies and labs, peer-to-peer sharing, construction studios, lectures, online courses, and seminars advance students’ knowledge and capacity and develop professional skills. Students can elect to participate in international exchange programs with partner schools to further develop their areas of interest and expand their professional networks. The final year of the MLA program is focused on the individual interests of each student and on completion of a master’s thesis. For most of our MLA students, their thesis is the first step toward a specialized area of professional practice or to doctoral studies. This program is designed for individuals with an honours degree other than the Bachelor of Landscape Architecture. The prescribed studies consist of at least thirteen graduate courses (6.25 credits) and a thesis requiring six semesters of full-time study over three calendar years. Students normally register for Fall and Winter semesters each year, and request a 'Leave of Absence' during the Spring semester in order to gain practical experience. Students who hold a first professional accredited degree (BLA, BSLA) will undertake a program of study that includes both courses and a thesis. If you have recently completed your first professional degree in landscape architecture, you may expect to undertake a program of at least seven graduate courses (3.25 credits) and a thesis. Applicants who have several years of substantial professional experience subsequent to their first professional degree will be required to undertake a program of at least five graduate courses (2.25 credits) and a thesis. Refer to the University of Guelph Graduate Calendar for details on course requirements for each program. Why Choose MLA @ Guelph?